Texas is widely known as some of the best cattle country in the world. It evokes images of whooping and hollering cowboys on horseback herding vast herds of Longhorn cattle across trackless terrain, and the art of roping and branding calves without the benefit of a crush. All of which increase stress on man and beast. But it was not always like this. This highly stressful way of handling cattle ­developed almost by default around 150 years ago as a result of circumstance. The early ­Spanish missionaries in North America ran large cattle herds under a traditional, far ­gentler hand. However, increasing conflict between the mission stations and raiding Native American tribes, followed by violent confrontation between the American ­government and Native Americans, resulted in many cattle herds going wild. The art of low-stress handling was almost lost to history. Over a century later, a ­visionary rancher called Bud Williams, later followed by converts such as Tim McGaffic, Steve Allen and Guy Glosson, almost single-handedly revived the low-stress handling approach to handling cattle in North America. The advantages include less stress on handlers and cattle, fewer injuries, less damage to infrastructure, lower ­morbidity and mortality, a lower ­percentage of “dark cutters” (a term used in the US to describe carcasses unsuitable for human consumption due to the dark-coloured meat) at the abattoir, higher conception rates, fewer abortions, higher calving rates, increased calf survival, better growth and maintenance of condition. Stress is related to the nature and degree of animal-human interaction, the intensity of management and the frequency of handling. 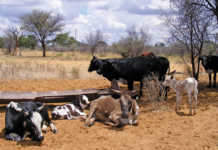 In extensive ranching systems where cattle seldom see people, this interaction is more stressful to the cattle than when they are regularly handled or herded – especially when this occurs in a calm and restful way. 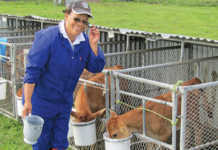 Community Dynamics, the organisation representing Holistic Management in Southern Africa, recently brought Guy Glosson out from Texas to conduct a number of low-stress livestock handling workshops in South Africa and Namibia. Guy is the manager of the 14 175ha Mesquite Grove Ranch near Jayton, Texas, an animal handling and range management consultant, and an internationally recognised authority on these subjects. A soft-spoken, down-to-earth archetype of the typical Texan cowboy, Guy is quietly modest and matter-of fact about his work. “I was lucky enough to have met Bud Williams more than 15 years ago,” Guy says. “He and his wife Eunice lived at our ranch and I was able to work with him daily for over three months. I have used his handling methods ever since. At our ranch we start yearlings, and then send them to leased ranches in as many as four states at a time. We buy and trade cows bought in sale barns all over south and east Texas, often handling hundreds at a time. “Five years ago a friend asked me if I could teach a herding clinic, and, well, I told him I guess I could think of something. After that I began learning how to teach the methods I learned from Bud Williams,” Guy says. He subsequently travelled all over Texas, Montana and New Mexico, then to Hawaii and even Zimbabwe. 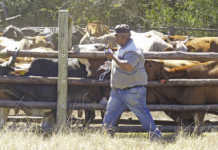 At these workshops, he gave participants the hands-on opportunity to handle cattle and left them impressed with his down-to-earth approach to reduce stress on man and beast. His approach to training is simple and straightforward. “I can not teach anyone how to handle animals in one short course,” Guy says. “So I introduce a few important principles, and one easy technique that will help them on their way to learning on their own. Consequently, the only way to learn is to make mistakes and then learn how to work through them.